It's been a while since I last shared to you the fonts I downloaded and added to my premium fonts arsenal. Yes, I'm a self-confessed font hoarder. I love typography and I still dream of coming up with my very own font in the future. I'm going to share a few free fonts in this blog post and some can be purchased at a very reasonable price. Oh and yes, I will be starting a new blog series next month which involves fonts and Dansk. 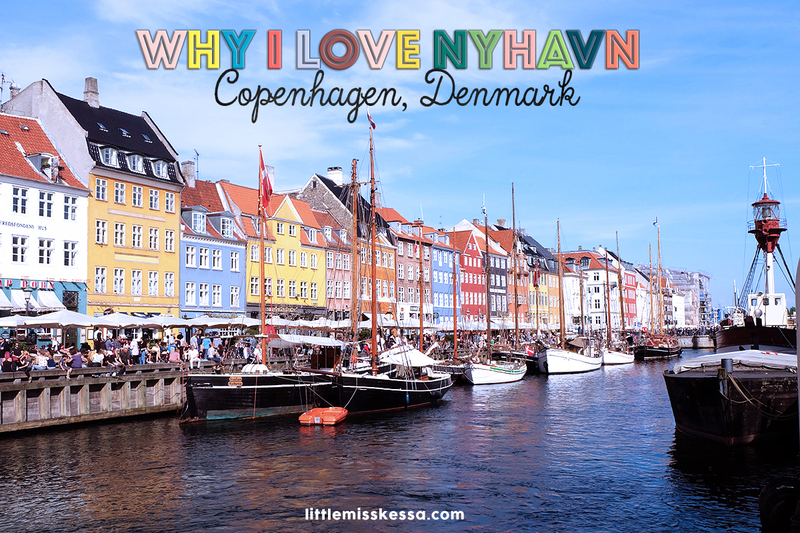 I will be taking you on my journey as I finally get my feet wet in learning Denmark's national language. We will start with basic words and then progress to phrases. I hope you are as excited as I am. 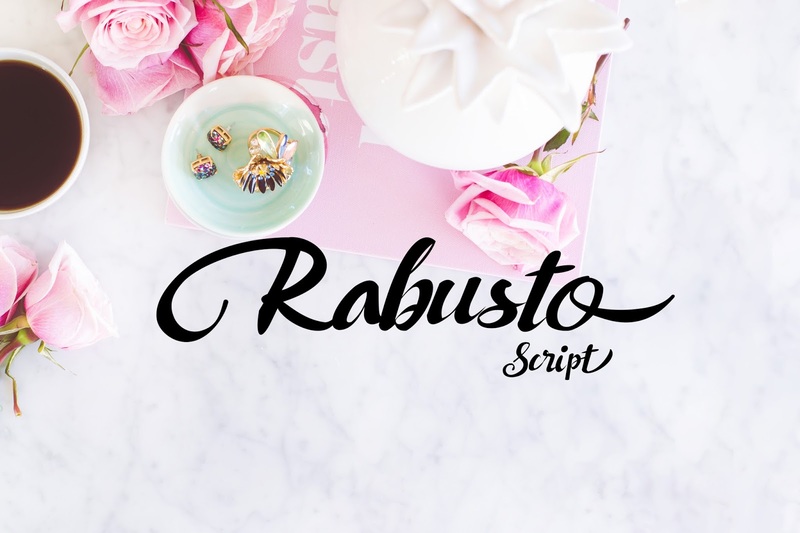 Our first font is Rabusto Script and this one's FREE this week (September 26 to October 2). Rabusto is sweet and lovely but not too feminine. It almost looks like Master of Break. I can see myself using this font in designing book covers, cards, logos, and maybe even posters. 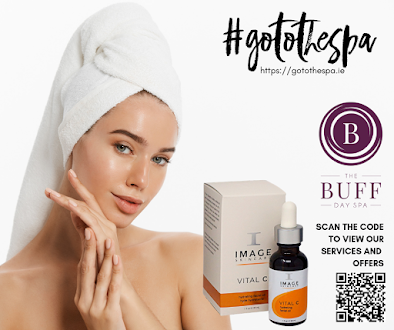 Click the download link now before the offer expires. 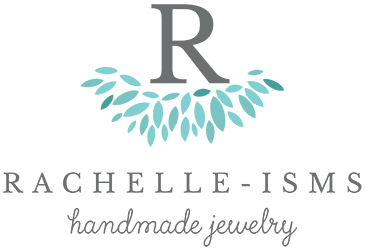 Our second font is Mademoiselle Script. I instantly fell in love with this font the moment I laid eyes on it. If you call it love at first sight I will not dare to object. 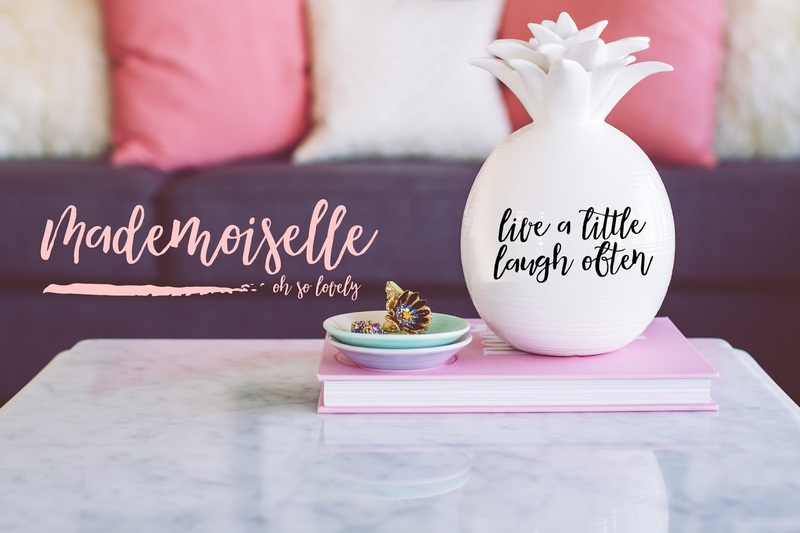 Mademoiselle is super perfect for branding, logos, wedding invitations, and quotes for Instagram. This deal isn't free but aside from being 15% off, this font package also comes with foils and watercolor styles as well as swashes and handmade illustrations. You'll get your money's worth for sure. This next font is quite a surprise for me. If I hadn't seen a sample, I would probably think that it is made of straight lines and probably a few solid corners. But no, Mustache Script is full of handmade brush script goodness. 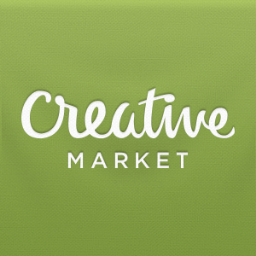 This font package is great for DIY projects for sure and includes extra vector clipart. 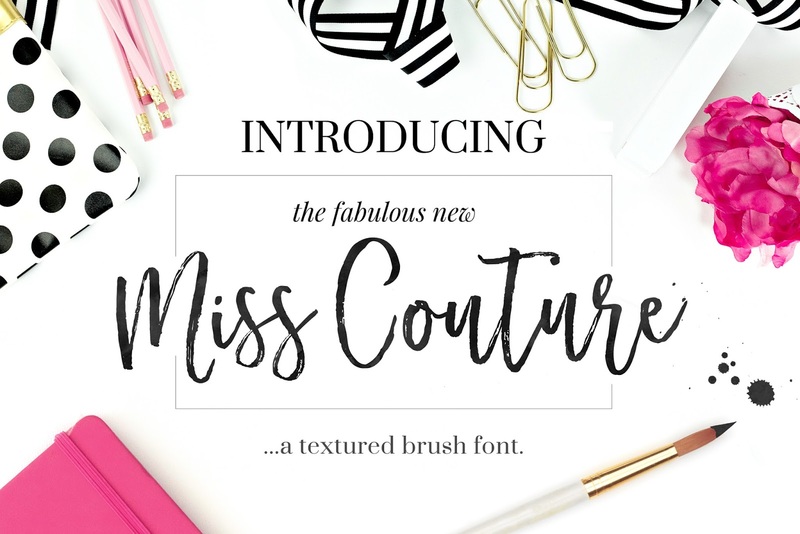 My favorite artist, Nicky Laatz, is at again with another font that's so pretty and elegant. It looks really stylish and a little bit playful. This font package contains a bevy of extra free goodies - Photoshop watercolor styles and foils - Shimmer Pop, Rose Coins and Glam Gold. You can use this font for personal and commercial projects. 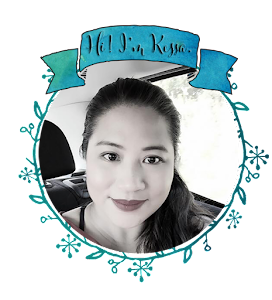 May I introduce you to Verona? 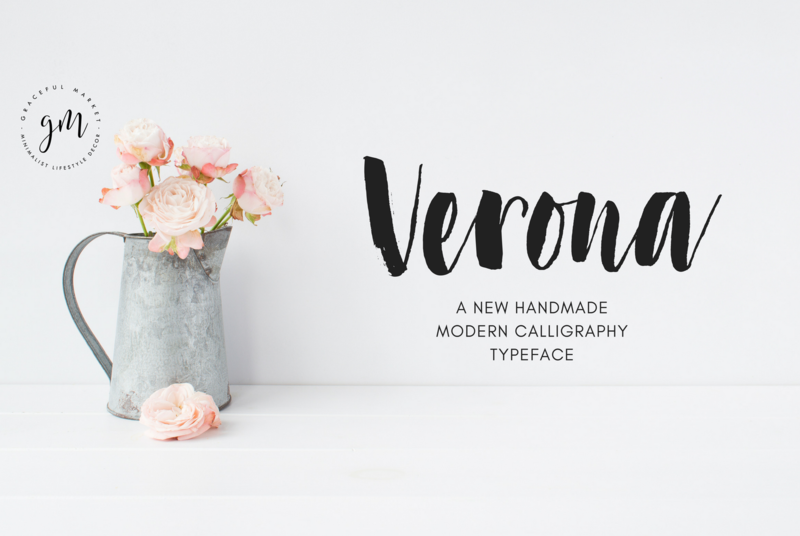 Verona is a thick and thin style handwritten brush and ink font. It is 100% handwritten straight from the paper. 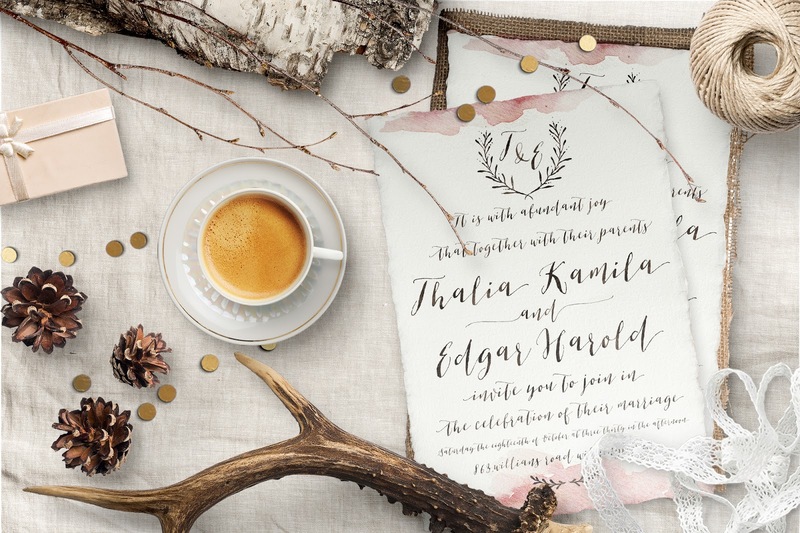 This font is great for wedding invitations, social media infographics, banners, posters and a whole lot of handmade goodies. Commercial usage is also allowed. This next font reminds me so much of Bombshell Pro. Brigitte Script is a lovely modern calligraphy typeface which looks so much like a fresh out of paper. This will be perfect for wedding invitations. Watch out for new features in my KT Paper Designs Instagram feed for when I create an invitation using this font. This font package includes long swashes, ligatures, as well as alternate characters. 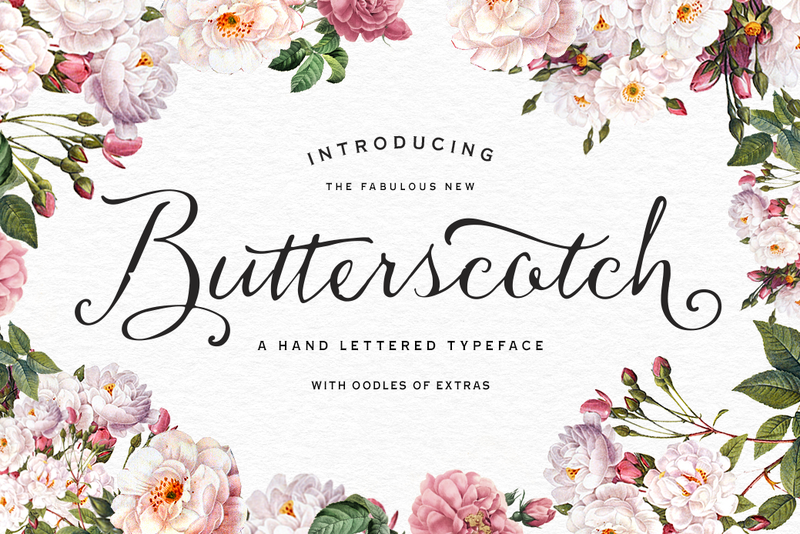 Butterscotch is a beautifully organic, hand-lettered script, carefully crafted and then digitized by Nicky Laatz (yes, I really really love her fonts). You have to check her out as well as this font full of inky goodness. Because, why not? 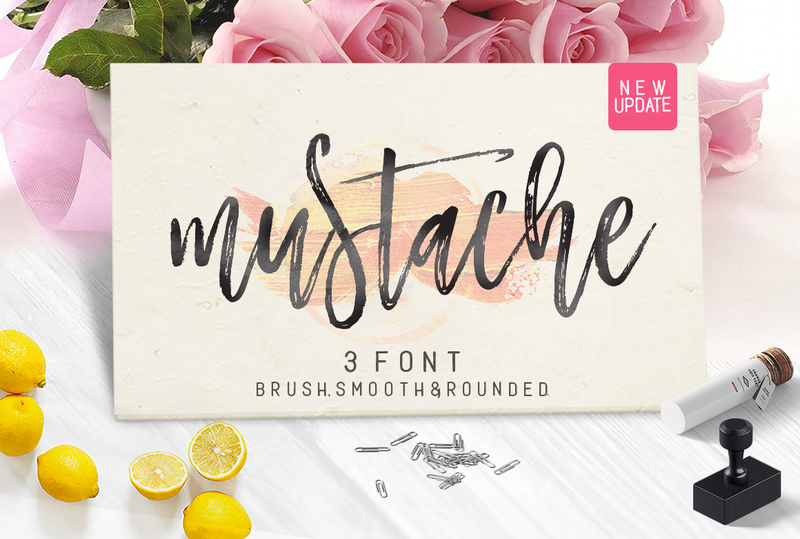 This font package has a bonus goodie pack too so download it now will you? Did you like any of the fonts featured above? Check out this article for 10 more pretty fonts to add to your collection. 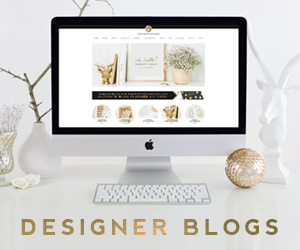 However, if money is tight and you can no longer squeeze a penny out of your budget, BOOKMARK THIS LINK and visit it every Monday to download six free design goodies (there's always a free font included every week). Isn't that a good deal?